How would the bulk of conservative Oklahomans describe people who support the federal Affordable Care Act’s preventative health programs and tax credits for companies that produce wind energy? Progressives? Leftists? Socialists? Freedom haters. How about mayor and governor? That’s right. Republican Oklahoma City Mayor Mick Cornett, according to the The New York Times, is apparently a proponent of the $10 billion Prevention and Public Health Fund contained in the ACA, also known as Obamacare, and Republican Gov. 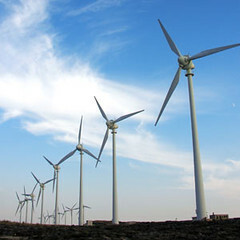 Mary Fallin, opposing GOP presidential candidate Mitt Romney’s position, has written a letter urging the extension of the wind energy production tax credit in Oklahoma and elsewhere. Obviously, Obamacare (or, as I like to put it, Obama cares) and President Barack Obama remain deeply unpopular here among conservatives because of GOP-led scare tactics, and we all know the oil and gas industry reigns supreme in red-dirt country. So what’s going on? Basic common sense. According to the The Times, Cornett has helped secure federal money for promoting healthy living through the ACA, which it noted has been done “with little notice.” (I wonder why that is.) The idea is to prevent illness rather than to just react to it. We don’t believe in individual freedom to the extent of letting people make poor health decisions and just wither away without help. Now that doesn’t sound like typical Republican rhetoric, especially the first six words. In fact, according to the story, Washington Republicans have called the program “a slush fund to build sidewalks, jungle gyms and swing sets.” Don’t forget that Oklahoma, led by Republicans, turned down $54 million from the federal government to help create a health insurance exchange as mandated by the ACA. Meanwhile, some state governors, including Fallin, have urged Congress to extend tax credits for companies that produce wind energy. Romney opposes the extension, and his energy advisor is oilman Harold Hamm, CEO of Continental Resources, located in Oklahoma City. Oklahoma has a surging wind energy market. As a country, we have decided to support energy diversity and development of all domestic resources, creating an “all of the above” energy strategy. The [production tax credit] plays an important role in helping to deploy technologies that ensure a diverse, domestic energy fleet. Note the words “energy diversity” and “diverse, domestic energy fleet.” That seems about as un-Republican as you can get these days, at least as it manifests itself in the prevailing GOP winner-take-all energy philosophy that promotes fossil fuel production and use above environmental concerns and the future of the warming planet. Give Fallin and Cornett credit, at least this one time. Their stances on the two issues are progressive and worth noting. Both are opposing many people in their own political party and risking criticism to do the right thing.